Yesterday someone was telling me about experiencing ball lightning and today I read that Austrian physicists have virually said that there is no such thing - it's all in the mind! According to these guys, from the University of Innsbruck, there is a simple explanaation for ball lightning: "Powerful magnetic fields, created by ordinary lightning, affect the brains of humans nearby so that they see things which aren't there." 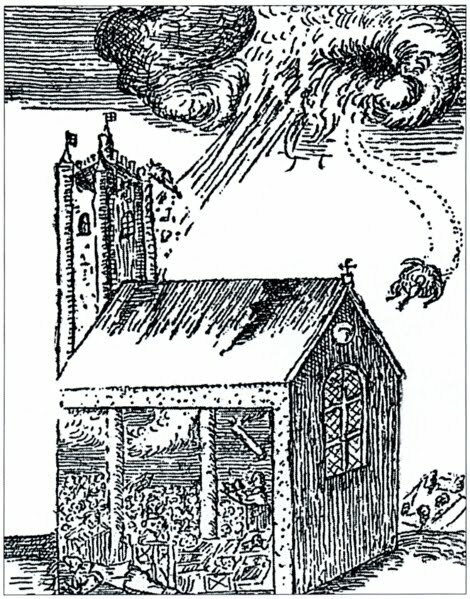 Ball lightning sightings have been on record for hundreds of years. One of the earliest dates back to 1638 at a church in Widecombe-in-the Moor, which is in Devon, England. A perhaps more reliable story is that of the Eastern Airlines Flight 539 flying from New York to Washington in 1963. Passengers saw a bright crack of lighning followed by an 8 inch luminous orb which emerged from the pilot's cabin and made it's way down the aisle, finally disappearing at the back of the plane. There are literally hundreds and hundreds of examples with many experiences recorded by ordinary people on the Weird Science Page. A well reported and documented case is of an English woman who had a close encounter with a luminous ball in her kitchen. It was actually too close for comfort as the ball hit her legs. Afterwards she was examined by a doctor. Her clothing was damaged but her legs weren't burnt as such. They had become red and numb though. Prior to this happening the woman had never heard of ball lighning. 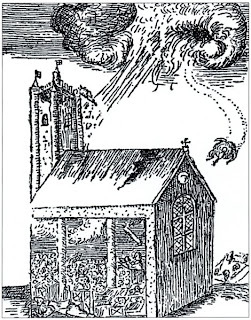 Sir Brian Pippard reported Ball lightning at his Cavendish Laboratories in England. He said, of the ball, "It went through a window as a secretary was closing it and passed by without singing her hair." And so it goes on - those Austrian physicists have got it wrong. Ball lightning, however, has never been fully explained by scientists or even the psychic world. It's one of those fascinating things that science tries to explain away. It'd be so much easier if they investigated rather than just dismissed phenomenon like this. How right you are - it's too easy just to dismiss something.